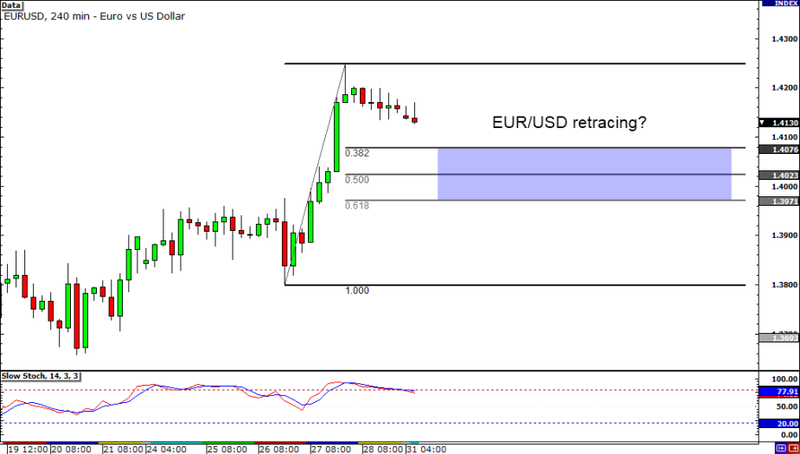 Is it just me, or is EUR/USD starting to retrace? With the Stochastic moving out of overbought territory and price ticking down ever-so-slowly, it appears that the bulls are starting to finally take profit. If you’re part of the bull camp, this may be a good chance to go long on a cheaper price and ride the overall uptrend! Watch those Fibs carefully folks, as they may serve as significant support levels! Chart pattern fanatics huddle up! 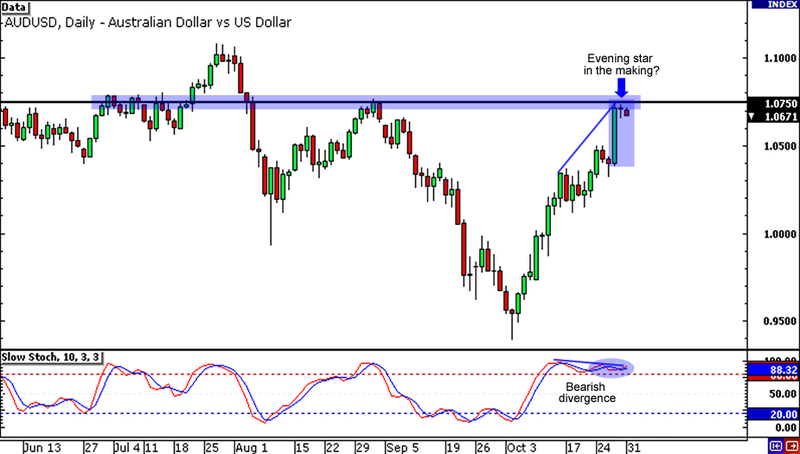 After forming a doji last Friday, AUD/USD looks like it’s about to complete an evening star on the daily chart. What’s more, the pair is also sitting at a former resistance at the 1.0750 handle, and is even supported by a bearish divergence and an overbought Stochastic signal. Will the pair head towards its former lows near .9500, or will it break past the resistance and revisit its highs above 1.100? My oh my! 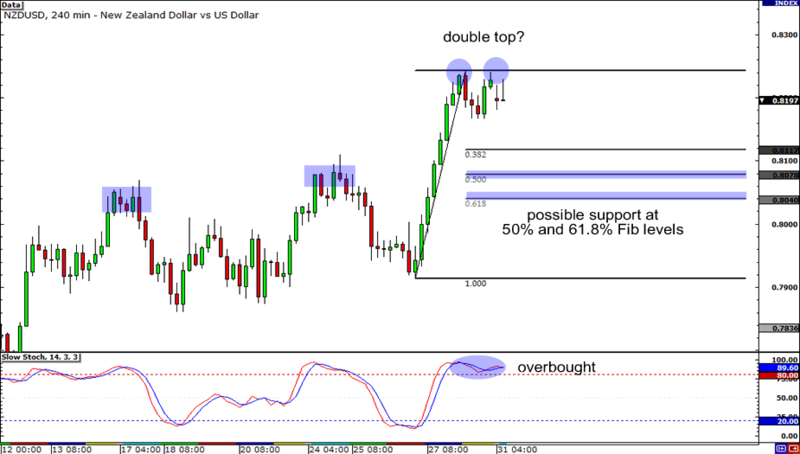 Is that a double top I spot on the 4-hour chart of NZD/USD? According to the awesome School of Pipsology is usually taken as a bearish chart pattern. With Stochastic already in the overbought territory, we may just see the pair tumble to its previous highs around the 61.8% and 50% Fibonacci retracement levels! But that’s just me. If the pair posts a new high, it could rally all the way back up to .8400.